The Tropical Rainforest Heritage of Sumatra (TRHS) is prioritized after UNESCOs World Heritage Committees decision, in its 41st session, to retain TRHS on the List of World Heritage In Danger following threats to remaining rainforests. The 2.5 million-hectare TRHS site comprises three national parks: Mount Leuser National Park located in Aceh and North Sumatra; Kerinci Seblat National Park in Jambi, Bengkulu, West Sumatra, and South Sumatra; and Bukit Barisan Selatan National Park in the provinces of Lampung, South Sumatra, and Bengkulu. A large part of the TRHS lies within the Leuser Ecosystem, which is among the most biodiverse and ancient ecosystems to be ever documented by science and the last habitat of Sumatran orangutans, elephants, tigers, rhinos, and sun bears. The International Union for the Conservation of Nature has identified Leuser as one of the worlds "irreplaceable protected areas." UNESCO says the site "holds the greatest potential for long-term conservation of the distinctive and diverse biota of Sumatra, including many endangered species." According to UNESCO, the area is home to some 10 thousand plant species, including 17 endemic genera; more than 200 mammal species; and about 580 bird species, of which 465 are resident and 21 are endemic. Besides this, millions of people in Aceh and North Sumatra depend on the rivers of the Leuser Ecosystem, not only for fresh drinking water but also to sustain their livelihoods as farmers. The TRHS was nominated by the Indonesian government as a World Heritage Site and accepted in 2004. The TRHS and adjacent lowland rainforests and peatlands in the greater Leuser Ecosystem are the only place on Earth where orangutans, rhinos, tigers, and elephants exist together in the wild and is a critical source of water and livelihood for millions. Since then, new threats have emerged, including Acehs flawed spatial plan, three proposed large hydroelectric dams, and the proposed Kappi Geothermal Project, which if built, would destroy forests in the very heart of the World Heritage Site. In 2011, the property was listed as "World Heritage in Danger" due to illegal logging, poaching, palm oil expansion, and fragmentation of its intact rainforests to make way for new roads. Panut Hadisiswoyo, founder and director of the Orangutan Information Centre, and civil society spokesperson at the World Heritage Committee meeting, held in Krakow, Poland, on July 4, 2017, issued a statement on the decision of the committee. "The World Heritage Committee has confirmed the need to take decisive action to address current and emerging threats facing the world heritage rainforests in Sumatra. We are very appreciative that the committee has retained the TRHS site on the List of World Heritage In Danger, as destruction driven by illegal activities continue to this day," he remarked as quoted on orangutancentre.org. "The Indonesian governments announcement to categorically rule out geothermal development within the World Heritage property is welcomed. 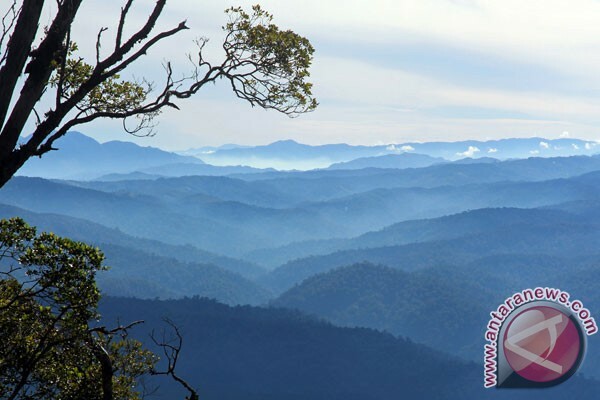 We stand ready to work collaboratively to protect its rainforests and realize alternative development that protects the greater Leuser Ecosystem whilst securing the integrity of the TRHS World Heritage Site," he noted. "Similar to the Indonesian government, we are committed to seeing the property come off the Danger list but not until all the threats it faces have been addressed. We commend, both the Indonesian minister of environment and forestry and Governor Irwandi Yusuf of the Aceh provincial government, who now have made unequivocal statements, ruling out geothermal proposals in the heart of Leuser, but we still have much work to do to reverse the damages that have already been done and block any attempts of building new roads or hydro dams proposed for the Leuser Ecosystem," Hadisiswoyo stated in his commitment during an address. "We are ready to work with the Indonesian government to conserve the property. Proper law enforcement is required to tackle the unacceptable levels of illegal logging, poaching, encroachments, and new roads," he pointed out. He delivered petitions to the 21 members of the World Heritage Committee on behalf of 14 thousand concerned global citizens that are part of the growing movement to "Love The Leuser" and supported the call to keep the TRHS site on the List of World Heritage In Danger - until such time that the threats to the area are resolved and its future conservation is ensured in perpetuity. In its January 2017 report to the World Heritage Committee, the Indonesian government reiterates its commitment "to ensure the sustainability of the TRHS and restore it to such a state that the property may be removed from the List of World Heritage in Danger." It lists the measures it has taken, which include establishing a program for increasing the population of Sumatran tigers, elephants, rhino, and orangutans; conducting training in wildlife monitoring; improving monitoring equipment; identifying and mapping human-wildlife conflict areas; developing a rhino sanctuary; and conducting Spatial Monitoring and Reporting Tool patrols.